To create disciples as Jesus instructed us to do, continuing the legacy of the Act's Church. 2. We believe in one God who has revealed Himself in three persons, the Father, the Son and the Holy Spirit. The Father, the Son and the Holy Spirit are all co-eternal, all stand equally superior to time, free from the temporal distinctions of past and future. 5. We believe that man was created by a direct and immediate act of God. worship. Five fold ministries: Apostles, Prophets, Evangelists, Pastors and Teachers. (Ephesians 4:11) Elders (Titus 1:5-9; I Timothy 3:1-7) Deacons (Acts 6:1-7; Philippians 1:1; I Timothy 3:8-13) Helpers, Administrators. (I Corinthians 12:28 - Amplified) And those able and appointed to lead in Music and Worship (I Chronicles 23:1-5). Pastoral accountability and authority (Hebrews 13:17). As such we recognize that those called to those offices will function in a manner to lead by example in prayer, worship, teaching, laying on of hands, and prophesying and that such actions on the part of those ordained and commissioned by this church. 14. We believe that "by grace are you saved through faith and that not of yourselves; it is the gift of God, not by works lest any man should boast." (Ephesians 2:8-9) We further believe that the emphasis for a continuous walk in grace should be the emphasis of heart righteousness and purity, believing in the keeping power of God, walking after the Spirit and not after the flesh in a lifestyle that demonstrates the character, standards and convictions of Jesus Christ, not being conformed to the world (Jude 24; Romans 8:25; Galatians 5:16-25; Romans 4:1-5; 12:1-2). 17. We believe in divine healing for the whole man. Healing was obtained through the atonement in Christ's sacrificial death (I Peter 2:24-25; Isaiah 53:4-5). We believe in healing as practiced by the early church (Acts 4:30; 19:11; Romans 8:11; I Corinthians 12:9; James 5:14). 19. We believe that the Church is the Body of Christ expressed as the church individual, the church local, and the church universal and invisible (all saints of all places and all times united together under one Lord). As such, we believe the church to be more than just a building or a gathering of people. It is a body living in relationship and harmony under the direction of the head, Jesus Christ (I Corinthians 6:15; II Corinthians 1:1; Romans 16:5; I Peter 2:4-5; Ephesians 2:19-22; I Corinthians 12:12-31; Romans 12:4-5; Ephesians 4:11-16). weapon is the Word of God, our authority and power is from Jesus himself (Mark 16:17, Acts 1:8) and that the battlefield is first of all in the spiritual realms. (Ephesians 6:10-18; II Corinthians 10:3-5; Romans 8:9; Galatians 5:22-23). 31. We believe that the Scriptures are clear concerning helping those in need. We are commanded to do good to all people as we have opportunity, with a special emphasis upon caring for those who profess to be fellow Christians, especially those within the fellowship of believers. We are commanded to be generous and willing to share, laying up treasure for ourselves in the coming age by our kindness and generosity in this life. This is true as an organization as well as for the individual. Therefore, in accordance with the biblical commands, as a fundamental aspect of the practice of our faith, we will share of our material goods with those in need and will minister to them to the best of our abilities, whatever the need. (Proverbs 25:21; Isaiah 58:10; Galatians 6:10; I Timothy 6:18-19; Hebrews 13:16). We believe that all human life is sacred and created by God in His image. Human life is inestimable worth in all its demensions, including pre-born babies, the aged, the physically or mentally challenged, and every other stage or condition from conception through natural death. We are therefore called to defend, protect, and value all human life. (Psalms 139). The statement of faith does not exhaust the extent of our belief. The Bible itself, as the inspired infallible Word of God that speaks with final authority concerning truth, morality, and the proper conduct of mankind, is the sole and final source of all that we believe. For purposes of Bible Driven Ministries's faith, doctrine, practice, policy, and discipline, our President and board of directors is Bible Driven Ministries' final interpretive authority on the Bible's meaning and application. Michael stayed with an alcohol addicted LuAnn for over 20 years of ups and downs. Several times he wanted to leave the marriage, but something always told him to stay. Several years after her death he met Candice, his current wife and told her his story and how he always felt that it could help others. He knew that if just one person could be changed by her death then all the years of pain, heartache and struggle would have been worth it. 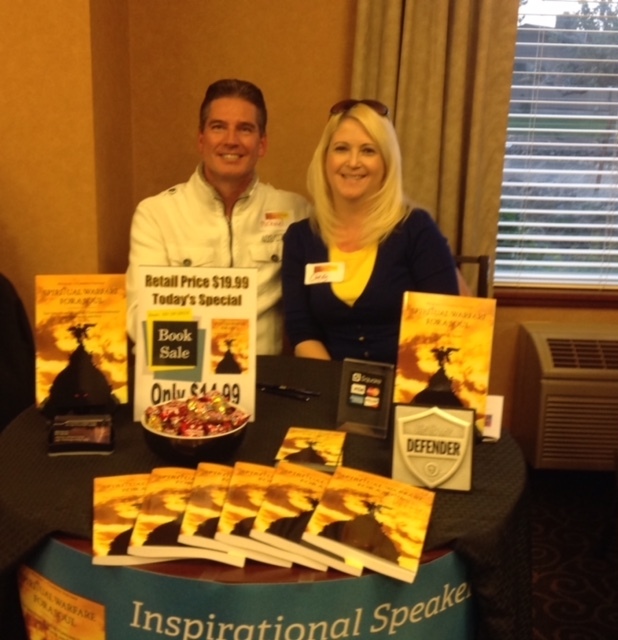 One day while telling his story to others she saw the profound effect it had on them. God told her it was time to write LuAnn's story and impact as many people as possble for his kingdom. Candice Vietzke is an ordained minister and holds a BS in Interdisiplinary Studies from Liberty University which includes Biblical Studies. She is currently pursuing a Masters of Arts in Theology from Liberty University. She works at the local church.